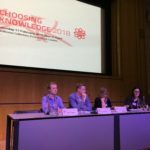 Home / choosingknowledge2018 / Why do we need careers education in schools? At parties or networking events, when introducing myself as a careers teacher, I’ve got used to people thinking I say I teach Korean and getting rather confused when I correct them. “Careers! But what do you actually teach?” they respond. It’s an understandable confusion. For anyone around my age, I left senior school in 1987, careers education consisted of five minutes with the geography teacher who, as I didn’t know what I wanted to do, said go and be a hairdresser. Random. Confusion persists when we consider the national picture for careers education. Schools have a statutory duty to provide independent advice and guidance from year eight but are given no specific funding to do it. Ofsted, government and the educational Twitteratti are taking an increasing interest in careers provision but nationally careers is described as ‘patchy’. Employers claim that school leavers are not equipped with the skills they need for the modern workplace and yet, those same employers say they do not know what the jobs of even the near future will look like – the robots are coming and we’re all doomed. Teachers will often confuse careers education with alternative provision; a vocational pathway for those struggling academically, often caricatured as an NVQ in nail art. The perception being that able pupils in the upper sets do not need careers education beyond some help with their UCAS personal statement. This is wrong-headed. So why do the current generation of pupils need taught careers provision when five minutes with the geography teacher was good enough for us? In most ways teenagers are no different now to how they’ve ever been. But in other ways they are different, one of the ways they’re different is that they don’t have jobs. When I was in the old money equivalent of year 9, I and perhaps half my year group had jobs. Nothing spectacular, paper-rounds, Saturday jobs in shops, helping at their parents businesses, on market stalls, butchers shops etc. If they didn’t have jobs it was because they were busy at the weekends with scouts, cadets, church groups or some kind of community activity. Interactions with adults who were not our parents or their friends and not our teachers was normal. We matured because we gained experiences of the real world, this is no longer the case. Participation in extra-curricular organisations has declined significantly and at least some of the jobs teenagers did are now considered inappropriate under health and safety legislation. As a consequence teenagers today are, on the whole, less worldly than their parent’s generation. The ability to talk to anyone all over the world via the internet has not proven a good replacement for getting out into the world and finding out what you’re made of. The first thing I ask my new year 9s in September each year is did they know they are old enough to get a job and apply for a National Insurance number? So far I have had nothing but blank looks in response. 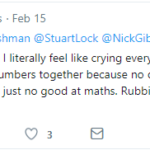 It is a problem if all pupils know is their GSCE curriculum. It’s especially a problem if they’re aiming for top universities where their grades are assumed and the interview is more concerned with their life experiences, extra-curricular activities and broader interests. For some, the notion of giving curriculum time to careers education, represents a worrying move away from the importance of subject knowledge. This is seeing things the wrong way around. Careers education starts with subject knowledge, it stems from a pupil’s love for an academic subject. Careers is what makes the link between subject knowledge and the world, it shows pupils the possibilities of where that subject knowledge can take them. When I started teaching, my mentor described the purpose of education to me as producing pupils who have an understanding of the world and of what it means to be human, who are able to enter into conversations about the future direction of society and who take the responsibility to do so seriously. In this sense what is more human than work? We spend around 55% of our lives working. For pupils to be successful citizens they need to be given the space to explore, plan and develop a work ethic. Jason Smith is careers lead at East London Science School and convenor of the Choosing Knowledge education conference #ChoosingKnowledge2018 A version of this article appeared in the January 2018 edition of Teach Secondary.